The ASTC Security Electronic safe Fingerprint locks gives you freedom to secure your home without the need for a key. There’s no need to worry if your children arrive home early, or if you’re stuck at work with friends on your doorstep. You control who and when people have access to your home by the Security Electronic safe Fingerprint locks. Unlock your door lock with Fingerprint or a PIN code or Mifare card. It is also easy to add and remove users if you need to. Don’t worry if the electricity goes down as the smart lock is powered by 4 AA batteries. It will even warn you when the batteries are running low. 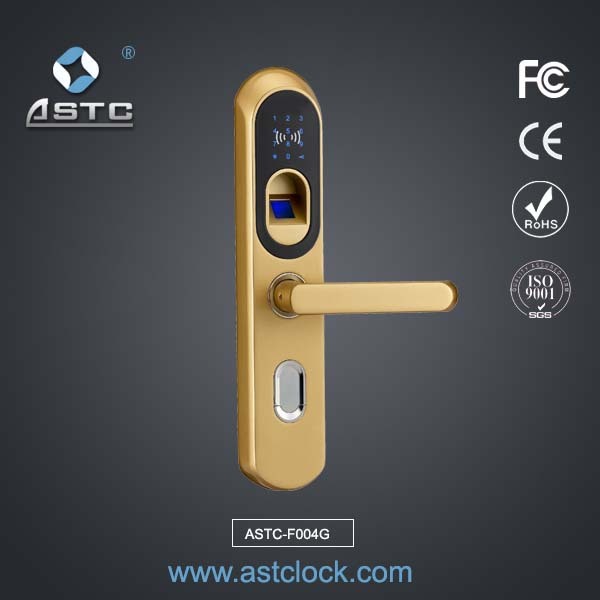 ASTC Security Electronic safe Fingerprint locks Features. High performance, low power consumption, embedded DSD processing chip. Security Electronic safe Fingerprint locks, use Dual core chips, industry original technology of code matching from the front end to the back end. World leading optical recognition technology to recognize human fingerprint. Activate lock by touch it, and with password input function. Finger scanning activate the Security Electronic safe Fingerprint locks support to set many people’s fingerprint and remember them by number. Security Electronic safe Fingerprint locks moritse use new stainless steel which can prevent people to destroy lock, it is leading electric lock body. Lock head is hidden style of super B-level and on the bottom, prevent technical opening the lock. Built-in human voice prompt in English to guide user’s all operation. Multi-combinations protection ways / unlock the door Security Electronic safe Fingerprint locks: Fingerprint + Digital code / Fingerprint + Mifare card / Fingerprint +Mifare card /Remoter /Mechanical key. Card & remote optional. Standard with keys. Low price: very competitive price range. Quick shipping: For 500 digital locks delivery time in 2-5 days. After-sale service: 2 years warranty. Certificate: CE MA FCC RoHs ISO9001.